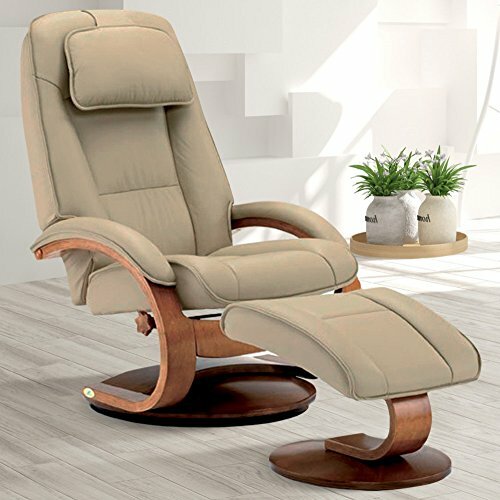 What are the best recliners for back pain and a living-room? In my opinion, the best recliners for any living-room, are not only beautiful and of great quality, but also the ones that will offer you the best support for your lower back! It is also recommended that we always keep our legs and feet a little above our heart level, for better circulation and less lower back pain . Many times people suffer from back pain because they don’t have a comfortable chair at home! 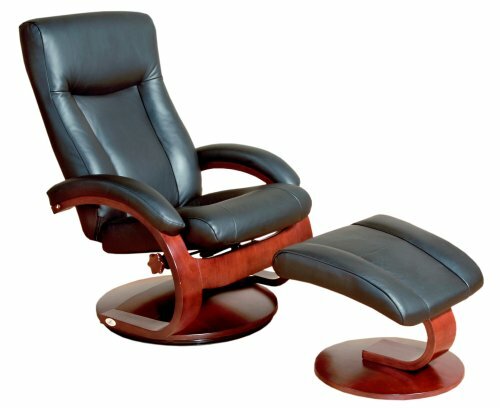 I personally think that getting a good quality recliner chair is a great investment on our health. This is a really important feature, after all, you will be spending a lot of time on your comfy and stylish recliner, either reading a nice book or watching great movies, right? 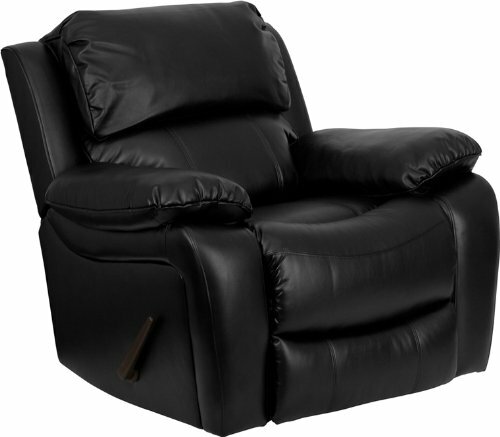 Good recliners also make excellent gift ideas to our elderly parents and grandparents. I decided to start with this oversized black leather recliner because that’s the one I have in my living-room! It is very comfortable, great for the back and the legs and it’s also very affordable. All my friends and family members LOVE my recliner! This is a stunning top-grain leather high-quality Norwegian design recliner and ottoman in a beautiful cream color and walnut finish! It is very comfortable, it looks beautiful in the living-room and it’s easy to assemble! This gorgeous color also blends in very well with other colors. The best recliners for back problems are definitely the ones that say ‘zero gravity’ because they are specially designed to offer you the best ‘weightless’ position. This is one of the famous ‘zero-gravity recliners’! As you can see it is almost like a bed! It was designed to offer the best resting position for your body! This incredible recliner was also built to fully support and cradle your whole body in way to elevate your legs above your heart, which is the optimal position recommended by doctors as the healthiest way to sit down and your lower back to offer you the maximum comfort possible! Perfect for your circulation and more oxygen for your brain. When you feel like you are carrying the world on your shoulders, sit on your new zero-gravity recliner! Your lower back and neck will be completely relaxed and supported. This is a great recliner to watch TV or read a wonderful book! Don’t you wish it was YOU resting on it now? One of the best recliners out there! Grab a nice cup of coffee, play some relaxing sounds, close your eyes….. Relax…. *You can also get in black or brown if you prefer. 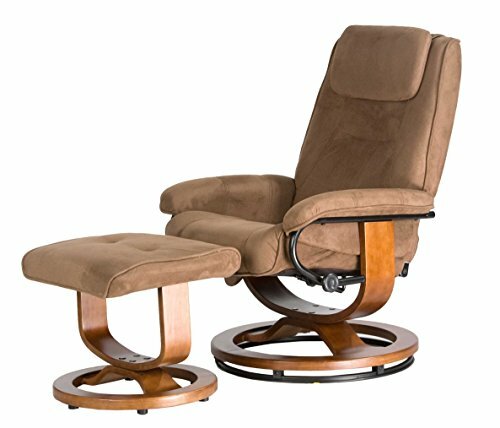 If you are looking for a stylish massage recliner that looks good in your living room, it’s comfortable AND affordable, I believe you are going to be very pleased with this microsuede brown massage recliner with 8 different kinds of vibration massage motors! Whether you want to massage your upper back, lower back, achy neck, thighs or your calves, this recliner can do it for you! Makes a great gift idea for parents, grandparents, husbands and wives! Perfect for a small living-room! 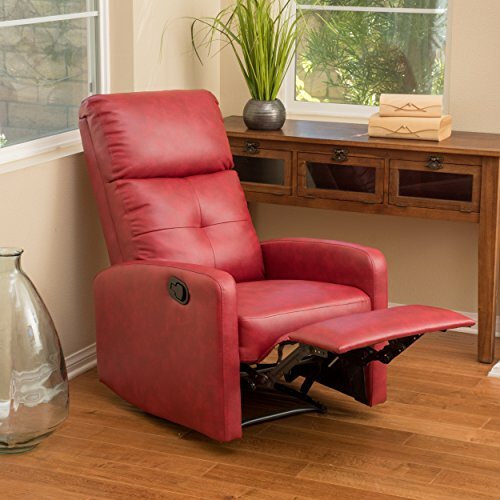 This is a beautiful, elegant and very modern cute RED color leather recliner! It’s great to have either in your living-room, den or bedroom. As you can see it elevates your legs and feet up to a nice and relaxing position! Makes a great (fancy) housewarming gift idea too! What are the best recliners for back pain? It helps soothes and relax your lower back while you relax with your feet up! This will definitely make a wonderful addition to your home! Great gift idea for elderly people too! Just imagine listening to some soothing and relaxing music while having a full body massage every single day if you want! This is a gorgeous and very cozy stylish dual recliner with storage console and USB charging ports for couples to enjoy a nice movie side by side while relaxing and stretching their whole bodies together. It basically lays almost ‘flat’, just like a bed, so you can even take a nice nap on it. The weight capacity is 300 lbs per seat and it also fits tall people. The gorgeous dark gray color will blend nicely in any living room. *I hope I have been able to help you choose a wonderful recliner for your home today! 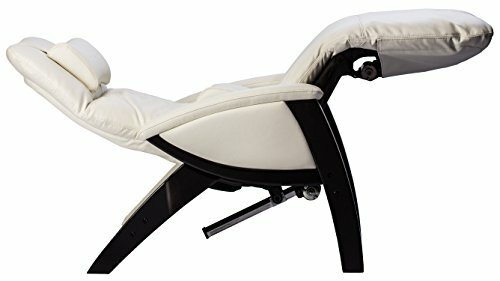 Best Massage Recliners for Neck, Legs and Back Pain! is that most of the sofas or recliners are drowning me because I am small. I have back pain and use pain meds 4times a day. We purchased lazy boy recliners thinking they would be good they felt supportive but it seems that it brings on the pain. These recliners sound good and if I knew I could sit I them and be free from pain I would buy them tomorrow. Hi Dennis, thanks for visiting! 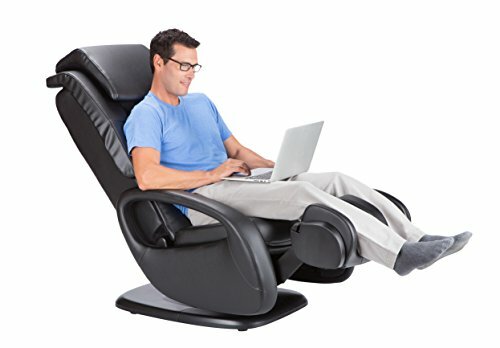 I have personally used the zero gravity recliner and it’s heavenly… However, I understand that what soothes back pain for some of us might not work for others…I have had back problems my whole life too and for me, I cannot be in a sitting position or standing for too long… I need to be in a horizontal position. It is what helps me the most. Hi Chandy, thanks for visiting! To check prices and other specs, just click on the pictures. Thank you! 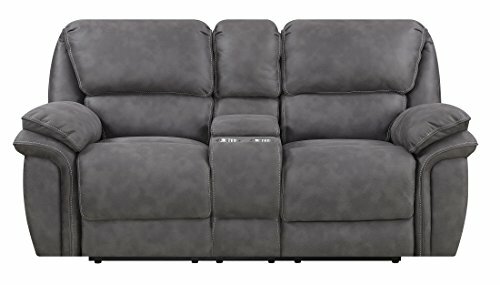 My husband and I are searching for a recliner not only with great lumbar support, comfort, and beauty but one that will support his height of 6’3″! Hi Donna, thanks for visiting! I just added a nice dual recliner here. It should fit your husband, even though his feet will probably stick out a little bit. I hope you like it!